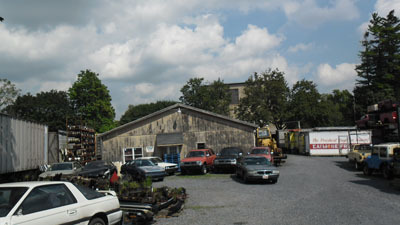 3 Buildings on site; 1 owner occupied; 1 Auto Body Shop; 1 Auto Parts Shop/scrap yard. Owner willing to stay or will vacate. Tenants month-to-month. Public water and sewer services the parcel. Building sizes and ages: 7,500 SF built in 1960; 3,200 SF built in 1974; 1,932 SF built in 1933. 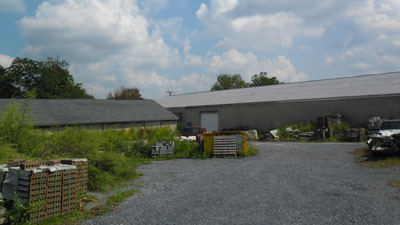 If you need warehouse storage this is a good opportunity; tenants rent helps with expenses. Serving Bethlehem, Freemansburg, Hellertown, Saucon Valley, Allentown, Coopersburg, Emmaus, Penn Argyl, Easton, Plainfield,PA and all surrounding areas. The data relating to real estate for sale on this web site comes in part from the Internet Data Exchange of the Lehigh Valley Association of REALTORS Multiple Listing Service. Real Estate listings held by brokerage firms (licensees) other than A.R. ULANS REALTY are marked with the IDX logo and detailed information about them includes the name of the listing brokers.